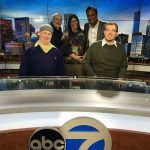 Jordyn Rosenberg is a young lady with a mission – to help people with developmental disabilities live their best lives. 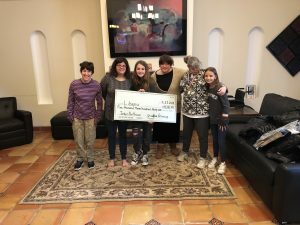 Jordyn, who celebrated her Bat Mitzvah on November 11th, launched a program to sell custom-made sunglasses, with all proceeds going to Libenu. Jordyn’s efforts were incredibly successful and she raised over $5400 for Libenu! 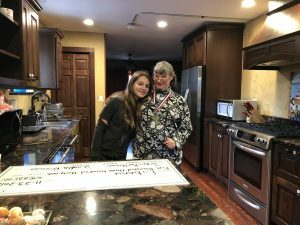 Jordyn’s chesed project was inspired by her cousin Heather, who resides at the Libenu women’s home. 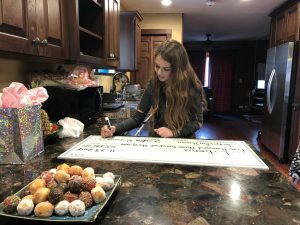 Jordyn stated that she, “wanted to help raise money for her and a wonderful cause that helps people with special needs.” Jordyn also wanted to spread awareness about the important work that Libenu does in the community. Why sunglasses? Jordyn explains, “ My dad is in the eyeglass business, so I thought it would be a fun way to raise money for Libenu. It was great to see my friends wearing the glasses I designed.” She and her friends posted pictures of themselves wearing the glasses on social media, in order to spread the word about her project and Libenu. Libenu extends heartfelt thanks to Jordyn Rosenberg, her parents Aviva and Mikey Rosenberg, and her entire family on her Bat Mitzvah. Special mazel tov to Jordyn’s Chicago grandparents and friends of Libenu, Marc and Debbi Geller.